Spring trail is full of Rhododendron blossoms. 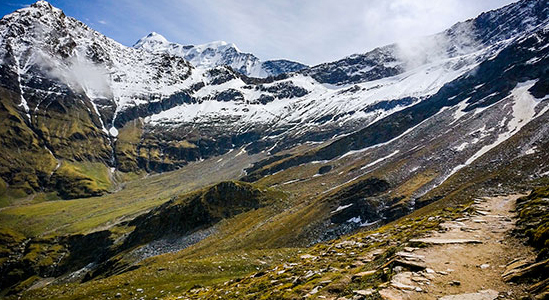 It is most stunning and exotic Himalayan trek during winters. It is the best trek if you want to avoid crowd. Camping and stay in comfortable tents. One of the goliath snow-topped Himalayan pinnacles lying toward the finish of the eastern Kumaon locale; Panchachuli Peak is a popular fascination of Uttarakhand. The pinnacles have religious noteworthiness for local people and for the adventurists its Base Camp is a perfect choice for a short trek. As a rule, trekkers thronged towards the base camp of the Panchachuli Peak amongst May and September. Panchachuli Base Camp is one of the energizing base camps that set out its marquee in a 40-kilometer trek beginning from Dar to Panchachuli Glacier. Settling cosily in the lap of the snow topped pinnacles of Panchachuli, the Darma valley in Pithoragarh region is enriched with inexhaustible beautiful magnificence, The course to the icy mass is possess large amounts of an unbelievable blend of exciting landscape, snow-capped mountains, spouting streams, Alpine glades and a rich assortment of vegetation and fauna. Arranged in Eastern Kumaon Himalaya, the trekking course frames the watershed between the Gori Ganga and Darma Valleys. Panchachuli Glacier lying on the laps of Kumaon Himalayan range in the Darma Valley, close to the fringes of Nepal and Tibet a territory of remarkable excellence .The whole trek to the icy mass is a stroll along the stream Dhauliganga. Meet and welcome individuals of inborn settlements-Tawaghat and New Sobla. Experience the excite of the trekking by strolling on the limited ways, chipped scaffolds and bluff edge. Behold the magnificence of the trek by getting look at waterfalls, valleys, streams and pinnacles. It is a generally simple trek through Darma Valley in Eastern Kumaon. The perspective of the pinnacles and the whole valley from the Base Camp is amazing. The trail keeps running along the Dhauli Ganga River. This locale is near Tibet toward the north and Nepal toward the east. It was an imperative exchange course amongst Tibet and India before 1962. If it's not too much trouble ensure the Inner line Permit is gotten ahead of time at Dharchula. First day, there will be a drive from Kathgodam to Dharchula, this picturesque ride through the Pitholagarh district of Uttarakhand passes through the towns of Bhimtal, Almora, Dhaulchina, Sera- gat, Chaukhori, Thal, Ashkot. Dar is the last road or say driving way from Dharchula; it is 3 hours drive to Dar along with the beautiful sight scenes and from Dar; it’s a 3 – 4 hour walk to reach the campsite in Urthing. 3rd day trek is an easy trek with a short descents and climb, this trek from Urthing to Naagling passes through hill sides of green pastoral land, with the sound of Dhauli Ganga flowing below. The trail to Naagling goes through hill sides and is a rocky terrain for approx 2 to 3 kilometers, after trekking for a long time we then enter the coniferous forests of high oak and birch trees and by further walking we will reach the table top meadows of Naagling. On 5th day there will be a walk to the Base camp along a narrow trail through the Dantu Bugyals on one side and the Meola River bed on the other, it’s as steep descend to Panchachuli Base Camp, The trek to PCBC itself is very picturesque with the Bugyals stretching far and wide on one side and the forests of birch and conifer on the other. In the morning besides the Mother Nature, we will trek down to Bungling. The trek is easy to downwards. In the morning we will trek back to Urithing which is approx 12kms trek. It will be our last day of trekking. 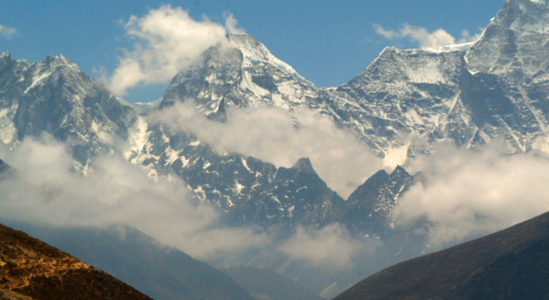 We will trek downwards 5 km to reach Sobla and from there we will drive back to Dahrchula. Here the journey ends and we will be driving to Kathgodam from Dahrchula in the morning. The trek expense of Rs. 32,000 + 5% GST takes care of all expenses of the trek from Dharchula to Dharchula. Backpack offloading charges - If you wish to offload your backpack, there will be an additional charge of Rs. 4200 + 5% GST. The backpack cannot weigh more than 9 kgs. Suitcases/strollers/duffel bags will not be allowed. Please note that charges will vary for last minute offloading in case you decide to offload your bag after reaching the basecamp (Rs. 700 per day inclusive of tax). Online offloading in advance is possible up to two days prior to the trek start date. Buffer day – It is mandatory to have this extra day as any bad weather or rain will delay your pass crossing. If buffer day is utilized, you will need to pay Rs. 4600 + 5% GST. This amount is to be handed over to your trek leader. My first Himalaya trek it is good more than I expected. Awesome trek leader and staff, food quality is great, 4 day spend well. 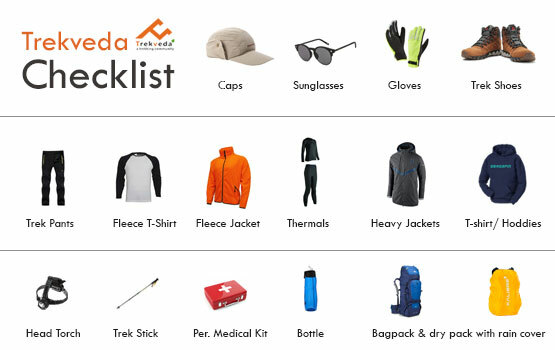 I will definitely come back for a trek with Trekveda. Amazing experience Surendra and team is simply outstanding, well spoken, funny and very helpful. They have proper equipment, tents, sleeping bags and all things are very nicely managed. The food during trek is delicious and very clean, tidy and tasty. I would recommend Trekveda for every trek and Surendra you are a Rock Star. Trek was very good had a very good experience with the camping, trekking and the summit. Trek leader was very strict, but friendly helpful would love to trek again with same person. Overall it was very good experience. Surendra, Hukum, Bhuwan was excellent & trek leader. They are very good. food quality was amazing and the staff behavior was excellent. Trek is good, but I miss the snowfall, food was very good & amazing. Trek leader was very good. Suri paji was very good person and the food was very tasty & yummy. Very good trekking experience would love to do trekking with Trekveda and the same leader again. Food was great in taste & variety. Safety equipment was best quality & communication skills each other was great. The trek was amazing, so was the trek team. Trek team was very supporting. Breakfasts was yummy & tasty. Well organized and good conduct of staff. Trek leader motivated us to climb to the mountain and the staff was so friendly. We had great fun and the staff helped in the medical issues every time, and trek became successful just because of the staff. Everything was awesome, the guides were really friendly helpful. Wonderful experience with Kadam, Padam & Surrender ji, excellent guidance & motivational person. It was my first trek, the experience was awesome, and all the facilities were available. The guiders were very responsible and careful, the food was also good. The trekking experience was really very good, the trek leader and the staff were very joy full, helpful and cheerful, they motivated us the whole trek and because of could complete the trek without any problem. This was first trek and we enjoyed a lot here, the trek leader Surrender bhaiyaa was too good, very co-operative, all the staff was very co-operative. The food provided during trek was very healthy & yummy, overall my experience with trekveda was very good. First main point was the food quality provided was excellent at that height of hills. Trek from last camp to Brahamatal was excellent, because we wake up at 3 AM (different experience). We reached to the top before sunrise which was another experience. I liked Trekveda very much for organized team. Food, trip enjoyed a lot. It was good, perfect for medium level trek, specially thanks for kalam ji for awesome photography. Well organized and food quality was very good, the staff was very helpful. Kalam ji our co-guide were very helpful, i enjoyed the trip. Our trek leader was experienced & good.